Greg Keyes is the author of many fantasy and science fiction novels, including the two fantasy series, The Kingdoms of Thorn and Bone and Age of Unreason. 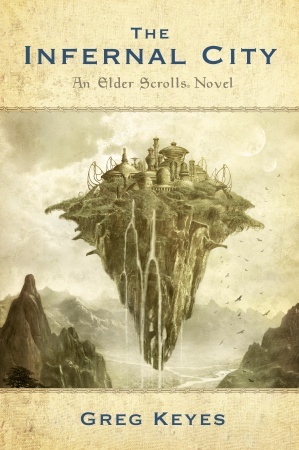 He’s recently published the first of two books set in The Elder Scrolls universe. He talks about The Infernal City, how he came to write it and what the experience was like writing a book set in the world of a video game. It appears you are working on a pair of novels set in the Elder Scrolls universe. Could you talk a little bit about how this project got started and how you came to be the one writing them? Well, to be brief, I was asked if I wanted to write them by Keith Clayton, an editor at Del Rey. Apparently some of the guys at Bethesda had been reading my Kingdoms of Thorn and Bone books and thought I would be a good fit. They sent me Oblivion and some written materials to review, and after doing so, I thought they were right – it looked like a fun universe to play around in. If it’s not too much trouble would you mind describing what the first book, The Infernal City, is about and where it fits in Tamriel’s history? It happens about four decades after the Oblivion crisis, and involves a flying city – Umbriel — which arrives in Tamriel and begins to wreak havoc. Various characters – for various reasons – set out to stop the city and its master. How much involvement has Bethesda had in this project? A lot. There were many conference calls. I made short outlines, they chose the one they liked best, and we went through several versions of a longer outline. I had email access to Kurt Kuhlman and Bruce Nesmith – two of the developers – and of course they all read the various drafts of the manuscript. Have you found writing novels based on a video game series to be particularly challenging? No more so than anything else I’ve ever done. One hug bonus with TES is that if I want to know what things look like at some location, I just go into the game and run there. At the same time, I wasn’t restricted by that, because the developers and I agreed that the game represents a simplified, scaled down version of the “real” Tamriel, which still leaves a lot to the imagination. You mentioned just having to run to any place in the game if you needed to see what it was like. Having played the game myself, I found that easier said than done—meaning, there were locations that were very difficult for a low level character to access. So, I guess my question is this: did you get to level your own character up in the game or did Bethesda provide you with a high level character file which would allow you to travel to any part of Tamriel from the get go? I just started playing the game, and didn’t understand at first that you could travel any way other than running. So I ran everywhere, avoiding encounters when possible, just eager to see the game world. By the time I figured out the other way to travel, I was really good at running. Running and conjuring and shooting my bow. Eventually, of course, I had a high level character (or several — I played through with more than one) and i now use those if I need to have a look at something. My brother Tim and several of my closest friends started playing Dungeons and Dragons in probably about 1979. We heard about the game first, and were so excited we cobbled together some makeshift rules while we tried to find a copy of it in Meridian Mississippi. We finally ended up with the original booklets, and when AD&D came out we latched on to that. We tried other RPGs – Traveler, Gamma World, and so on – but AD&D was the one we stuck with. Later, in graduate school, my friends and I played several of the World of Darkness games. Those were a lot of fun. I’ve always liked face-to-face rpgs for the social aspect. I don’t watch football or anything like that, so games always filled that niche in my life. Computer games I sort of try to stay away from – not because I don’t like them, but because I like them too much. I played DOOM and QUAKE back in the day, and more recently Neverwinter Nights and TES. 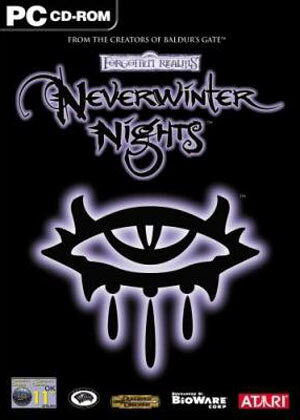 With Neverwinter Nights I was really more interested In the tool set than the game, at least in the first iteration – and spent hours scripting and so forth. And there’s the rub – my job is to write, and if I spend all my time playing games, I never get anything done. So I don’t buy games; my brother gets me games so we can play them together when he visits. The great thing about the Elder Scrolls was that I could play the games without feeling guilty – it was part of my job description! Were you a fan of the Elder Scrolls series before writing these books? No, for the reasons I just gave. But once I got the game, I thought it was fantastic. As someone who knows a thing or two about fencing, how did you find sword combat to be in Oblivion? I’m not really sure how to answer that. As a gamer I like it pretty well – as a fencer I feel my low-level character ought to be doing better because I could do better. How much would you say your experience playing the Elder Scrolls games went into your writing of these stories? Some, but one of the goals in writing the books was to not make them “Gamey”. The guys at Bethesda didn’t want to hear the dice rolling, so to speak, and neither did I. I got good feel and background from the games, but I wanted the people in the book to be characters, not player characters. Just for the record, are you in the Morrowind or Oblivion camp? I don’t see why I have to make a choice. I like them both. Turning to writing, would you say there is grind involved in the writing process? Sure. It’s not always fun. In any book there are things that you want to write and things that you have to write. For me, that’s why revision is most important – once I have something down, out of my head, then I can tinker with it and make it into something I’m glad I wrote. Right now, being able to work at home. I have a four-year-old-boy and a twenty-month-old girl, and I love hearing them downstairs while I work. The flexibility of writing allows me to be with them more – and in more ways — than a rigid day job. I also like being my own boss. Until the kids came along, I had all day to write, so there wasn’t really a problem. I haven’t had a real day job since 1997. Now I have a sitter who comes in a few hours a day so I can work solidly. I also work at night – and when pressed – on weekends. But I generally like to leave weekends for family time, when I can. My whole life is an escape! I still fence and teach fencing. We go to pub after fencing. I travel, sometimes alone, mostly with my family. I wrote a novel a year for five years. I wrote them and sent them off. The first four did not sell, and the fourth did, and since then things have been pretty good. While I was writing those books I was also working, doing graduate school and so forth, and I never counted on being able to make a living at this. Write because you want to or because you want to get published,. Writing is not a get-rich-quick scheme. Sure it happens, but don’t count on it. And don’t re-write the same book for ten years. Finish, and start something new. I wish I had some genius thing to say here, but I don’t. Thanks for asking for my two bits. This entry was posted on December 2, 2009 at 7:22 pm	and is filed under Uncategorized. Tagged: Author interview, Fantasy fiction, Greg Keyes, Greg Keyes interview, J. Gregory Keyes, Oblivion, Reading the text, The Infernal City. You can follow any responses to this entry through the RSS 2.0 feed. You can leave a response, or trackback from your own site.